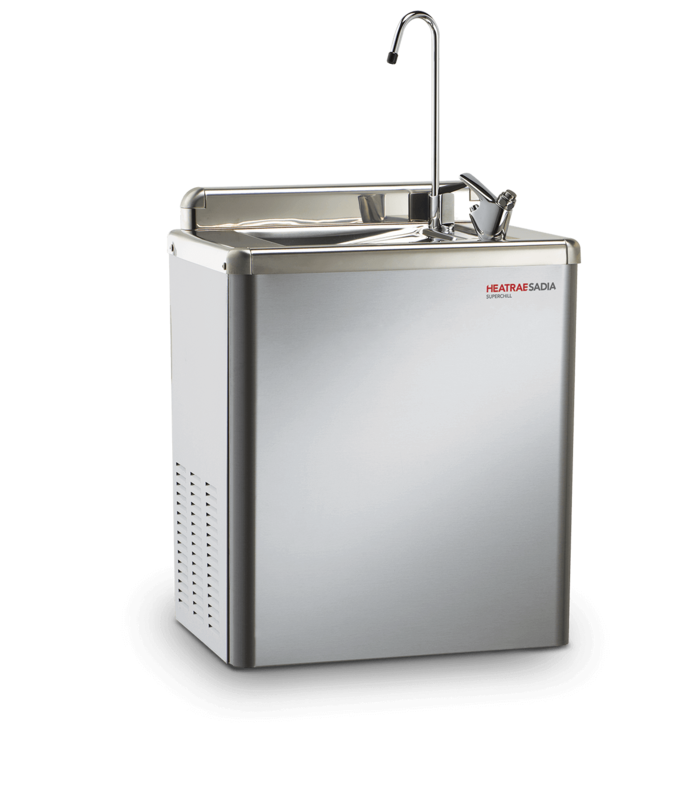 Our wall-mounted SuperChill 30W was designed with schools and hospitals in mind. Wall-mounting keeps floors and skirting clutter free, for high-traffic situations where regular cleaning and hygienic integrity is paramount. The SuperChill 30W provides flexibility in height position so the unit can be mounted for convenience of children or wheelchair users, for instance. The unit is provided with a factory-fitted water filter, water fountain and levered tap. It has a robust stainless steel drip tray and plastic-coated steel casing, engineered to withstand constant heavy use. Water chillers provide a hassle-free, modern alternative to bottled water coolers and are ideal for public buildings to provide access to fresh, chilled water.